January 27th each year is Holocaust Memorial Day, when we remember the six million Jews murdered in the Holocaust, and the millions of people killed in Nazi Persecution and in subsequent genocides in Cambodia, Rwanda, Bosnia, and Darfur. On HMD we can honour the survivors of these regimes of hatred and challenge ourselves to use the lessons of their experience to inform our lives today. AWAZ Cumbria will once again be leading the commemorations, on Sunday 27th January 2017, by organising a conference on the theme ‘Torn From Home’ at the Learning Gateway, University of Cumbria, Fueshill Street, Carlisle, CA1 2HH on Sunday 27th January 2019 1:30 – 3:30 pm. This conference will encourage audiences to reflect on how the enforced loss of a safe place to call ‘home’ is part of the trauma faced by anyone experiencing persecution and genocide. HMD is a time when we seek to learn the lessons of the past and to recognise that genocide does not just take place on its own, it’s a steady process which can begin if discrimination, racism and hatred are not checked and prevented. We’re fortunate here in the UK; we are not at risk of genocide. However, discrimination has not ended, nor has the use of the language of hatred or exclusion. AWAZ Cumbria in conjunction with the Crown Prosecution Service (CPS) and the University of Cumbria will once again be leading the commemorations, on Sunday 27th January 2017, by organising a conference on the theme ‘Torn From Home’ at the Learning Gateway, University of Cumbria, Fueshill Street, Carlisle, CA1 2HH on Sunday 27th January 2019 1:30 – 4:00 pm. 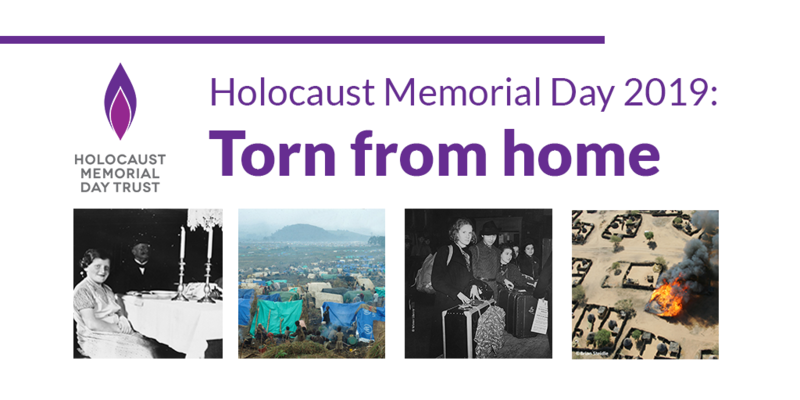 This conference will encourage audiences to reflect on how the enforced loss of a safe place to call ‘home’ is part of the trauma faced by anyone experiencing persecution and genocide. ‘Home’ usually means a place of safety, comfort and security. We will reflect on what happens when individuals, families and communities are driven out of, or wrenched from their homes, because of persecution or the threat of genocide, alongside the continuing difficulties survivors face as they try to find and build new homes when the genocide is over. The event will last around two hours and will be open to members of the public.